Recently, over 10,000 people attended the first-ever CatConLA, dubbed “Comic-Con for Cat Lovers.” I put on my kitty ears (and cat-print dress and cat handbag) and pounced on the opportunity to attend this amazing event. In addition to the various kitty tees, totes and toys, I found some pawsitively unique cat-themed items. Here are 18 Unusual Cat Gifts I Found at CatConLA. 1. Cute Kawaii Gifts. 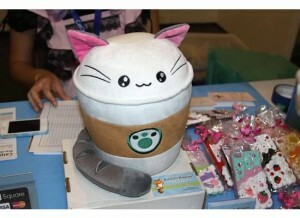 Vendor Kimchi Kawaii offers a large, plush “catpuccino” for preorder. I picked up a “decaf catpuccino” magnet which features a mug of catpuccino with a sleeping cat face. 2. KitNipBox. Sign up for a box of monthly “cat goodies” delivered to your door. The Catnip Times gives KitNipBox 5 out of 5 stars! Receive a 15% discount by using the BESTFRIENDS code at checkout and 5% of the proceeds will go to Best Friends Animal Society. 4. Zoomer Kitty. Allergic to cats? Not ready to commit to the real thing? 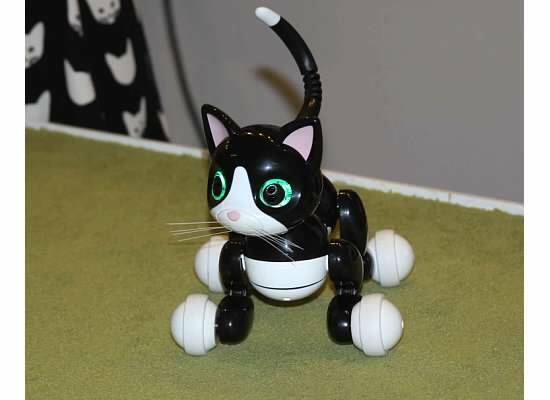 Then how about a robot kitty? It plays, it purrs, and there’s no litter box mess! 5. Cat GPS. Loc8tor is “the smallest and most accurate locating device for finding your cat.” And yes, they also make them for kids. 6. Bowties for Cats. These are all the rage among the Cats of Instagram. Get them from Business Catual, where a portion of sales is donated to Cat Adoption Team and The Pixie Project. 8. Automatic Self-Cleaning Litter Box. By Litter Robot. 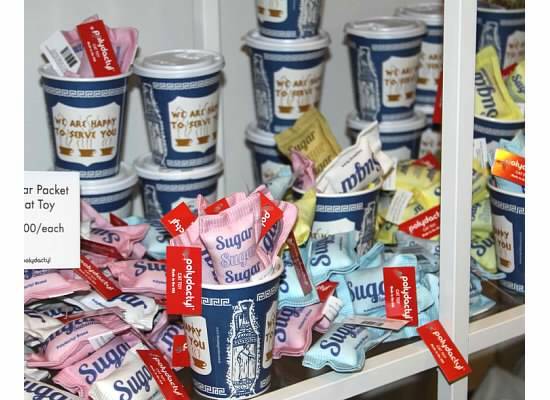 Cleaning the litter box is now as simple as changing the kitchen garbage bag every few days! 9. Unique, Creative Cat Furniture. Square Paws offers cat furniture in the shape of The Cat in the Hat’s hat, the Eiffel Tower, a king’s throne, etc. Why settle for your average cat condo? 10. Pregnant Cat Lady prints, notecards, etc. You know those drawings on the gynecologist’s wall that show what a gestating baby looks like in its mother’s womb? Replace that baby with a cat. By Universal Error. 11. Polydactyl Cat Toys. 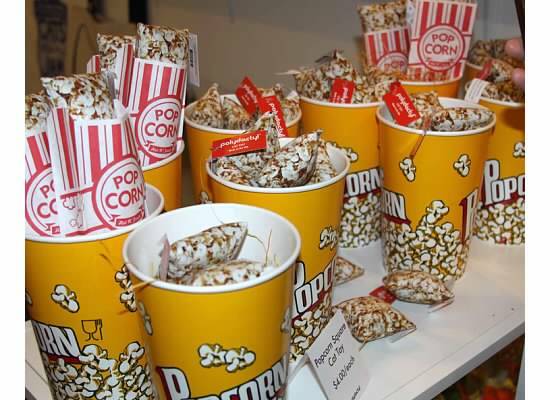 Why go for a generic catnip mouse when you can get your catnip toys in the shape of sushi, popcorn, coffee, or Chinese takeout? Yes, these are catnip toys! But they’re not just cool to look at – the Internet’s Katniss, Cat Reporter raves about them. Yes, these are catnip toys! The sugar and sweetener packets are filled with catnip. 12. Cat Urns. These crematory vessels by CharmCeramics are actually tasteful works of art that provide you with a respectful way to remember your cats after they have crossed over the Rainbow Bridge. 13. Kittyo Cat Monitor. This interactive cat monitor allows you to dispense food, record and talk to your cats while you’re away as well as play with them with a laser pointer! 14. Mod Cat Bowls. 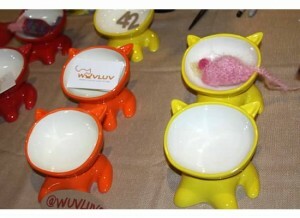 Instead of an ordinary water dish, why not go for a luxurious cat-shaped bowl by Wuvluv? 16. Free Cat App. Gotta love a freebie! The CatWars app allows you to “see cute cats, win prizes and chat with friends.” You can even link it to your cat’s Instagram account. Download the app here. 17. Organic Cat Treats. Catnip toys in fun shapes like bacon and eggs. By Whimsily Ever After. Input the code “BB10″ into the coupon box during checkout to get 10% off your entire purchase. 18. 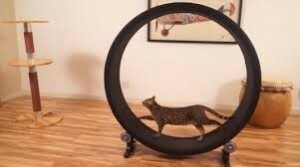 Cat Exercise Wheel. If your cats are indoor loafs like mine, this exercise wheel by One Fast Cat can help them burn off all those treats! For a 10% discount code that is available until the end of the year, use the code: “bargainbabe015cc”. What are your favorite unusual cat gifts? Norton Security (For 5 Devices) Only $29.99 – Lowest Price!